KUCHING: The St Joseph`s School Band will be making their mark on the world stage once again when they take part in the European Open Championship in Germany in June. This will be the band`s third international competition, after the German Open Championships in 2013 and the US Band Association`s Yamaha Cup in 2015. Band director June Ling said the 70-member band will perform a nine-and-a-half-minute drill show titled "Star-Crossed Lovers" in the marching show band category. "The music and programme were designed for the band by experts from the United States, including Drum Corps International Hall of Fame members, Thom Hannum and Michael Klesch. "The show tells a story of eternal love through dance, visuals and music. 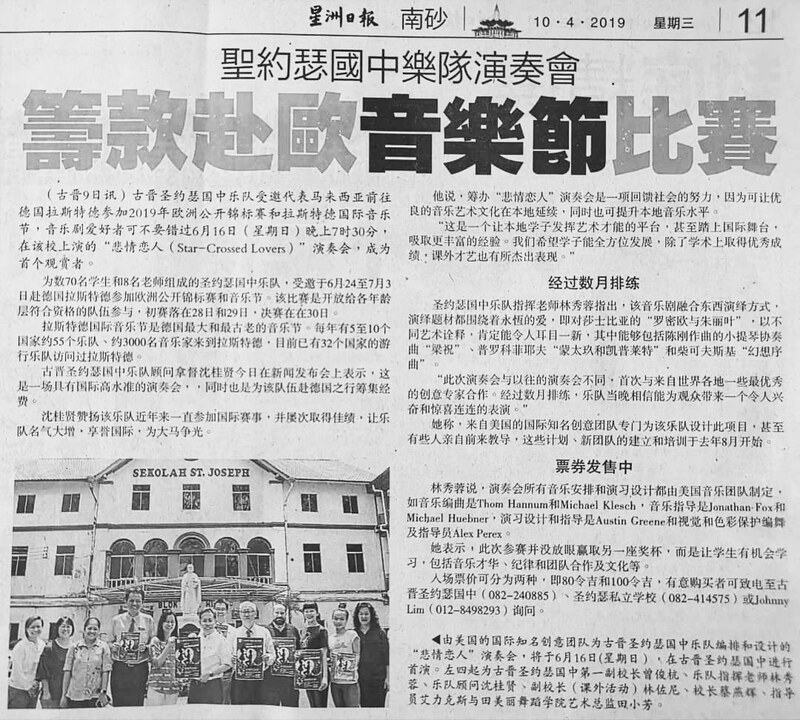 It`s a refreshing take on Romeo and Juliet, as East meets West in the music of Chinese composer Chen Gang`s `Butterfly Lovers` and Western classical music in Prokofiev`s `Montagues and Capulets` and Tchaikovsky`s `Fantasy Overture`," she said on Tuesday (April 9). 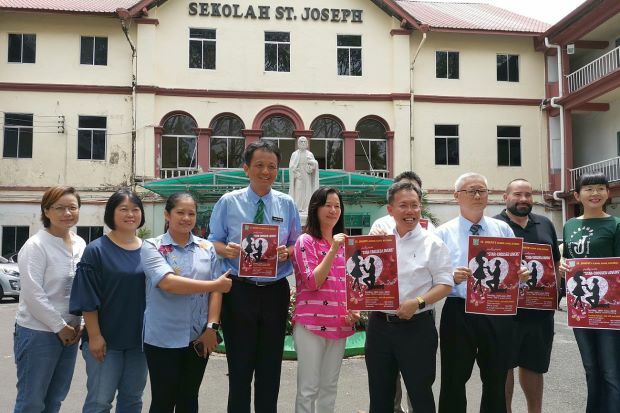 Old Josephians` Association president Datuk Dr Sim Kui Hian said the school band had shown that from the jungles of Borneo, they could do well internationally. "We`re very proud that over the years the band has consistently maintained a high standard, and now they have received a prestigious invitation to go to Germany. "The band is a platform to groom local talent and provide an opportunity to students to participate and develop into musicians. "We hope they will be able to do us proud," he said. The European Open Championship on June 28-30 is part of the International Music Festival in Rastede, Germany. Each year, about 55 bands with some 3,000 musicians from five to 10 countries take part in the festival. Ling said this would be the biggest event for the school band to date in terms of participating bands. However, she said the school band`s focus was not about winning another trophy, but to develop excellence, as well as experience in teamwork, artistry and cultural richness in the students. "This is an opportunity for them to learn something special and to understand the music better from the experts," she added. The band will premiere "Star-Crossed Lovers" at a fundraising concert on June 16 at SMK St Joseph here. Tickets priced at RM80 and RM100 are available at SMK St Joseph and St Joseph`s Private School.